Alternatively call us on 01322 342485 during club opening times (please leave a message if nobody is available to answer). We are based at Erith Stadium which is located adjacent to Erith Leisure Centre, Avenue Road, Erith, Kent DA8 3AT. For map and directions click here . 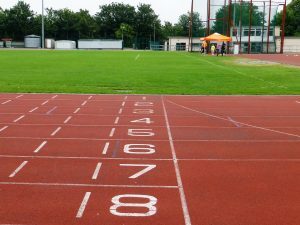 To find Erith Stadium on the Running Track Directory click here. Erith is about 4 to 5 miles from the Dartford Tunnel on the M25. Car parking is usually available at Erith Leisure Centre, or in the town centre nearby. Closest station is Erith, about half a mile from Erith Stadium.